CALLING ALL RUNNERS: Be a part of a revolutionary new way to compete! 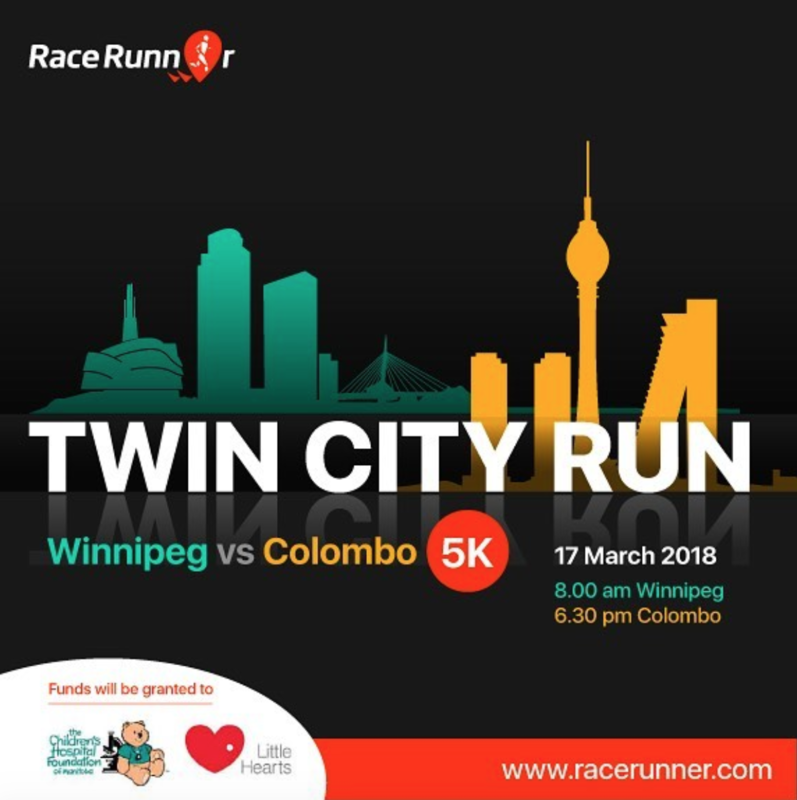 Two lucky runners will receive FREE registration to RaceRunner’s first Twin City 5K Run — Winnipeg, MB vs. Colombo, Sri Lanka — on March 17, 2018 at Assiniboine Park. Be the first to try a new running app developed in Winnipeg and compete in real time against runners from Sri Lanka, with all proceeds from the local race benefiting the Children’s Hospital Foundation. ← 2018 MRA HALL OF FAME BANQUET-EARLY BIRD PRICING ENDS SOON!